As we wait for incoming news about Big Brother 10, let’s take a trip down memory lane to revisit some strong points of Big Brother 9. After CBS announced that Big Brother would air during the winter season instead of the summer, commercials and promotions were kicked into high gear to get the word out about the abnormal time frame for the show. One of WeLoveBigBrother.com’s most watched videos is this first commercial listed below. Also, the second commercial below shows our first hint at the season’s twist: soulmates. On February 6, 2008, the first pictures of the house were revealed with a cabin-feel to correspond to the winter season. The next day, WeLoveBigBrother.com received video from CBS with some exclusive clips of the houseguests. The first clip has Julie Chen and Allison Grodner (Exec. Producer) explaining the soulmates twist. Also below is a video of Julie giving us a walk-through tour of the Big Brother 9 house. Once the season started, 24/7 live feed subscribers quickly realized that the Big Brother 8 fish tank had been replaced by the guinea pig cage. This camera angle is used whenever the houseguests sing a copyrighted song. On Friday night, Amanda fainted due to a medical condition. Allison had an allergic reaction to something she ate. Both were transported to the hospital. The feeds are now back on after the incident. WLBB urges extreme caution before watching the video. 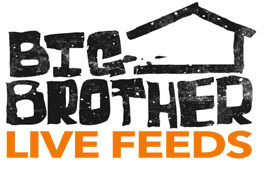 At the Big Brother 9 finale, WeLoveBigBrother.com was granted exclusive access to interview all of the houseguests immediately following the show. We even got the chance to talk to the executive producers and casting director of the show. All of those interviews can be viewed here or on our YouTube channel.